Avignon: Located 2 hours south of Lyon, the Popes city will charm you with its beautiful city center made of medieval buildings and streets, small squares and mansions from the Renaissance period. A visit to the Pope Palace, an episcopal ensemble classified as World Heritage by UNESCO is a must. Cross the ramparts of the city and visit the famous bridge that gave the world-famous song! Every year, in July, Avignon hosts the largest live theater festival in France. Orange: The Princes city hosts the best preserved Roman theater in Europe. Built under the reign of Emperor Augustus in the early 1st century AD, it is a proof of the extraordinary grandeur and power of the Roman Empire. The magnificent Orange’s Triumphal Arch dates from the same period. 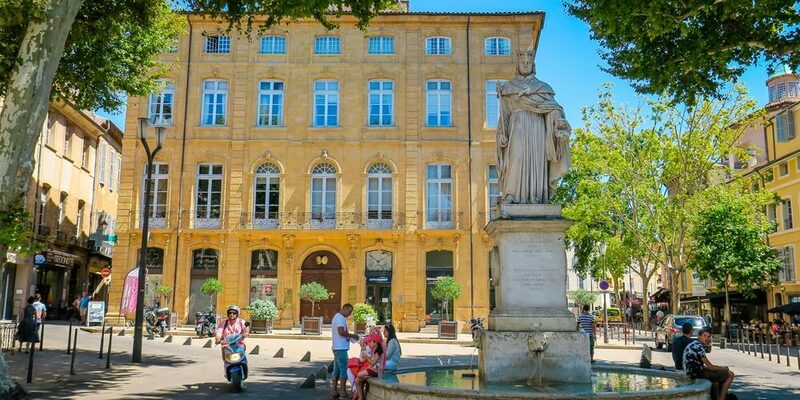 Aix-en-Provence: this city of 140 000 inhabitants perfectly embodies the Provence art of living. The best way to discover the beauty of Aix-en-Provence is by strolling along the boulevards with numerous terraces and alleys. Aix-en-Provence and its picturesque surrounding villages have been immortalized by the painters Cézanne, Picasso, etc. 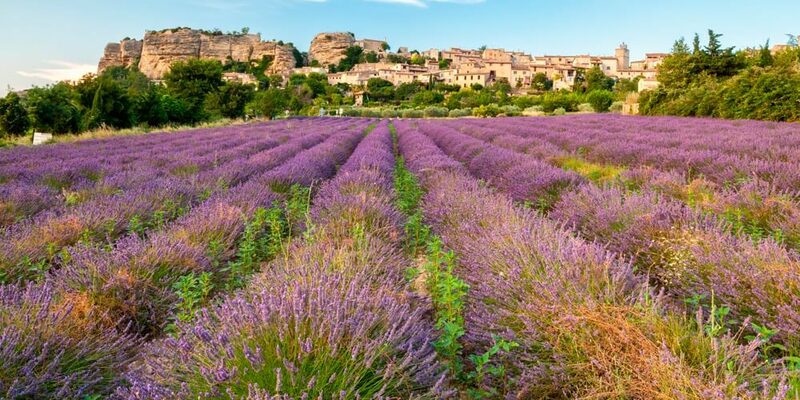 Natural Sites: The Ventoux Mountains, the Regional Natural Park of the Camargue, the Mediterranean coast and its Calanques, the Gorges du Verdon, the hilly Drome region, the Gorges de l'Ardèche, Provençal landscapes covered with lavender, the Luberon and its hilltop villages will surely captivate you! Gigondas, Vacqueyras & Beaumes de Venise: all 3 appellations lay at the bottom of the beautiful Dentelles de Montmirail Mountains. Gigondas and Vacqueyras wines are dominant Grenache with some Syrah and Mourvedre grapes for the reds. Beaumes de Venise appellation is famed for its natural fortified sweet wine made from the Muscat grape. Chateauneuf du Pape: it is propably the most famous Côtes du Rhône crus wine around the world. Its name comes from the Popes who selected this town to be their summer residence in the 14th century and did a lot to encourage the wine production and the expanding of the vineyards. A red Chateauneuf du Pape wine can be elaborated with 8 different grape varieties and 5 for the white. The soil is mainly made up of large round quartz stones mixed with sandy red clay. The Southern Cotes du Rhone wines will go perfectly with the French Provence cuisine full of sunshine: ratatouille, pesto soup, bouillabaisse, anchoïade, truffles, etc.